A group of scientists are raising awareness and warning the general public over the use of Apple airpods that it poses a cancer risk to users. 250 experts residing in 40 countries have signed a petition directed to the United Nations (UN) and the World Health Organization (WHO) warning against the specific use of Apple airpods. It is their belief that the use of airpods poses cancer risk due to the emissions of electromagnetic frequency (EMF) waves in the device. The scientists noted in the petition that numerous scientific publication has revealed that EMF affects living organisms in areas including increased cancer risk, genetic damages, neurological disorders, changes in reproductive systems, cellular stress and many more. They noted that these damages go beyond human life, as there has been increasing evidence that EMF endangers plants and animal life as well. 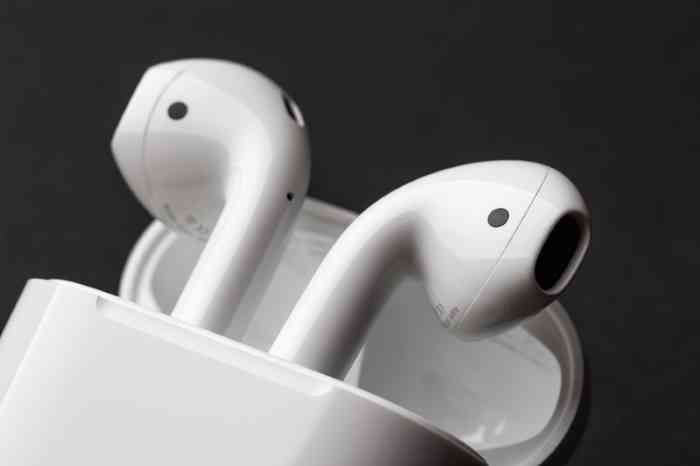 The experts warn that since airpods are placed deep within the ear canal, it exposes the fragile parts of the ear and the inner skull which is at proximity to high levels of radio-frequency radiation. These findings, the experts noted, have justified their appeal to the UN to encourage the WHO to exert measures in educating the general public about health risks pertaining to children and fetal development, and the development of more protective EMF guidelines. They maintained that by failing to take action, WHO as an international public health agency was not fulfilling its role. In 2017, Apple sold 16 million pairs of the tiny wireless gadgets with the figure rising even greater with 28 million product sales. With a new design currently slated to be launched soon, Apple is set to profit even more from the product. While Apple had previously responded to health concerns over the use of its earbuds, it is yet to respond to the recent petition. Back in 2016 at the device launch, Apple spokesperson Alex Kirschner announced that all Apple products have been designed and tested to meet or exceed all safety standards.